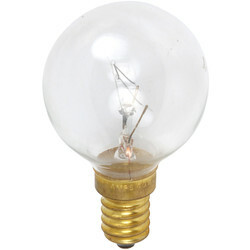 View our range of appliance bulbs available at Toolstation. 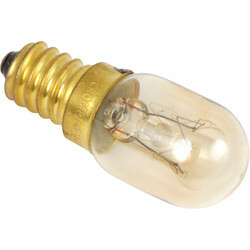 We stock replacement bulbs for many appliances including ovens, fridges, microwaves, and artificial fireplaces. All replacement appliance bulbs are energy class E and have a long average life up to 1000 hours. 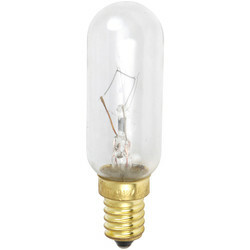 If you need to replace the lightbulb in a fridge, we have the ideal fridge bulb. The 15w fridge bulb is compatible with most brands of both commercial and domestic refrigerator. 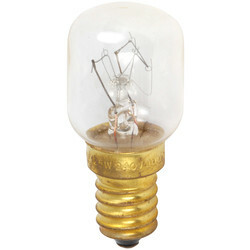 This tubular fridge bulb is available with either a SES-E14 or SBC-B15d cap. 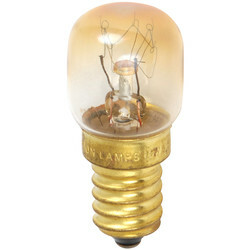 The E14 40w oven bulb lamp has a high 300° temperature rating, meaning it is suitable for most oven types. This oven light bulb replacement is internally fused for safety. 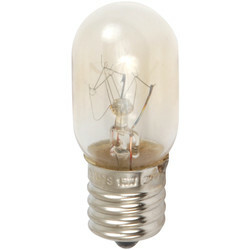 Microwave light bulbs can be easily replaced with a microwave bulb lamp. 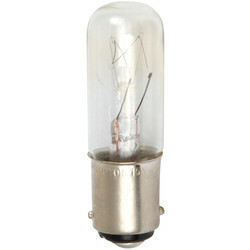 The Crompton microwave bulb replacement is suitable for most types of microwave ovens. It’s easy to replace the lights in artificial and decorative fires with fire glow light bulbs. 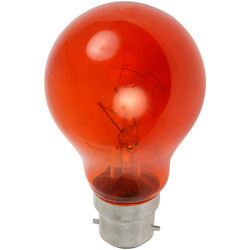 The fire glow light bulb has a BC-B22d bayonet fitting which is widely used for decorative fireplaces, and the fade-resistant red lacquer creates a warming glow when lit. Receive free delivery with your order when you spend £10 or more or click and collect from your closest Toolstation branch.